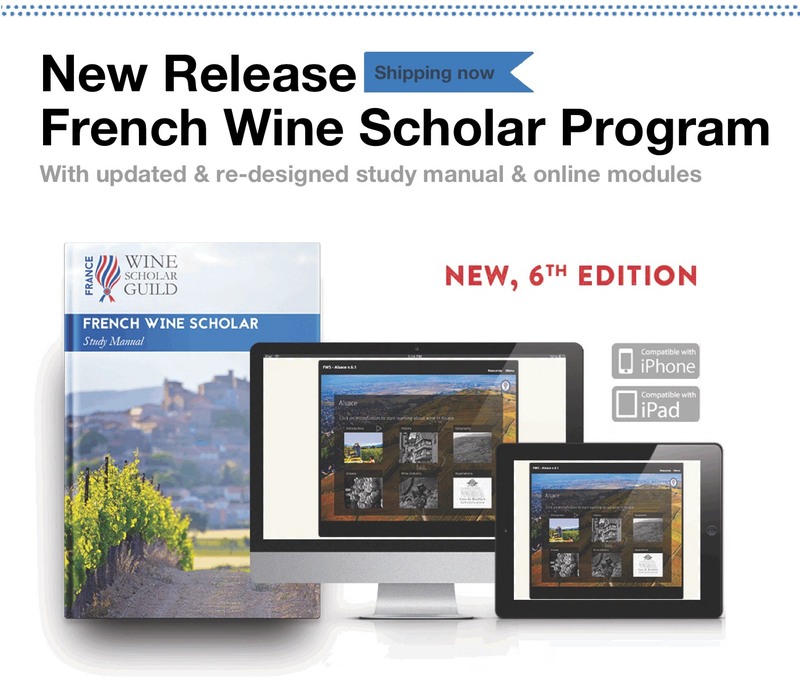 The Sixth Edition of the French Wine Scholar Program is Shipping Now! 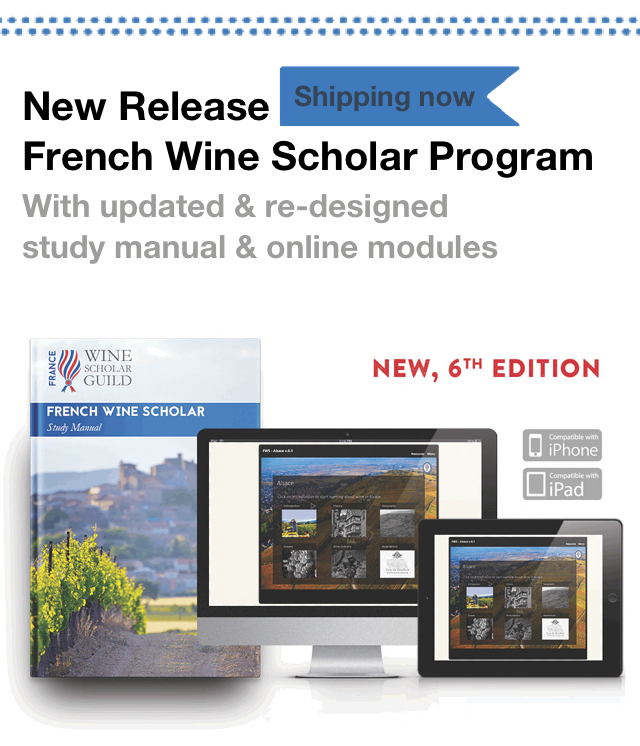 The Sixth Edition of the French Wine Scholar Manual is Shipping Now! 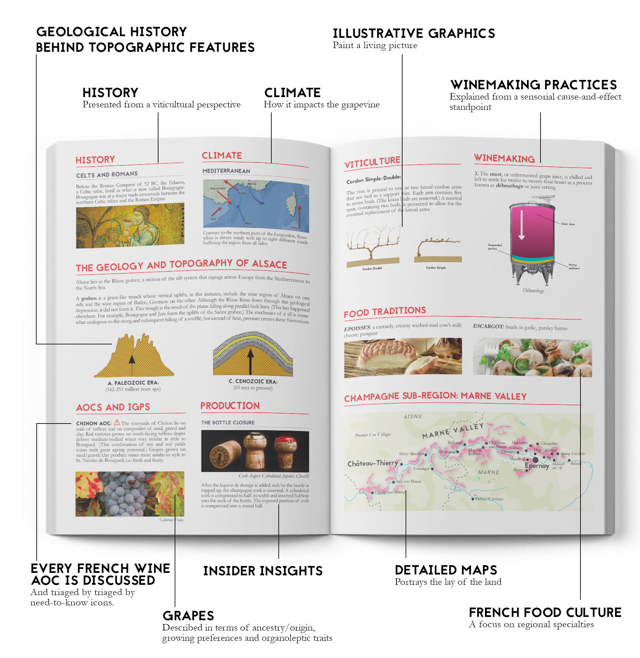 The French Wine Scholar manual has been updated and reformatted into a perfect binding (no more spiral!) with new and improved maps. Need-to-know icons now mark all AOCs that count as test material eliminating some appellations that are seldom exported beyond their local zone of production. In keeping with these new changes, the distance learning program has been upgraded and all teaching materials have been given a fresh look. About the program: the French Wine Scholar™ education program is an French wine course designed to provide committed students of wine with the most advanced and comprehensive specialization study program on French wine bar none! It was created by Lisa Airey FWS with the support of the support of the French Ministry of Agriculture. 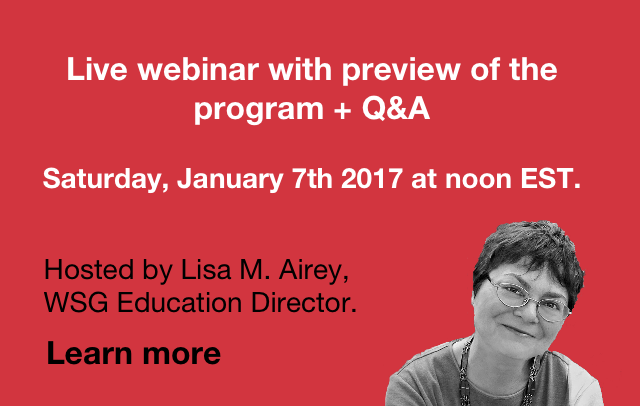 Classroom sessions, courtesy of our world-wide program provider network, can be found here. 2017 study trips are selling out fast! Secure your seat today for one of our 2017 destinations: Tuscany with Jane Hunt MW, Piedmont with Kerin O'Keefe, Bordeaux with Gerard Basset MW, MS (SOLD OUT), Burgundy with Andrew Jefford, Alsace with Andrew Jefford, Rioja with Sarah Jane Evans MW, Champagne with Essi Avellan MW, Jura with Wink Lorch, Loire with Pascaline Lepeltier MS. There will be only one trip in each destination next year. Don't miss this unique opportunity to travel to these fabulous wine regions with fellow students of wine and under the instruction of true regional experts!